M&D's founder,lead investigator and spirit box aficionado, Mary Goyer, has had multiple personal paranormal experiences that she cannot explain but has spent her entire life attempting to understand. Though she does not claim to be psychically sensitive she expresses a natural ability to feel more than our five senses should allow. Her history and her desire to help others like her led to the creation of M&D. Mary has spent most of her life perusing a career as a worker's compensation claims manager for a prestigious insurance company. With this experience, she has gained much knowledge into the world of medicine and law. This has supported her authentic and fierce ability to read one's character and see beneath the surface of any given situation, including paranormal. 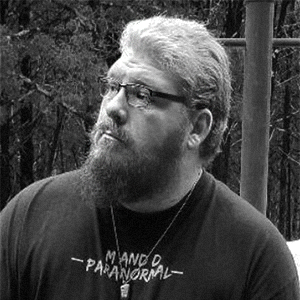 Daniel Hurst aka; “Tiny”, the face and co-founder of M&D, has had many experiences through his lifetime, both paranormal and cryptid. Many of his skills centered around his childhood homeland of Eastern Tennessee and range from Sasquatch encounters, UFO sightings, and intelligent hauntings to being attacked twice by forces unknown. He has an extensive history working in the medical field, having over 20 years of experience holding a variety of titles. Much of his experience has focused mainly on mental health and substance abuse while going to school for a degree in criminal justice. 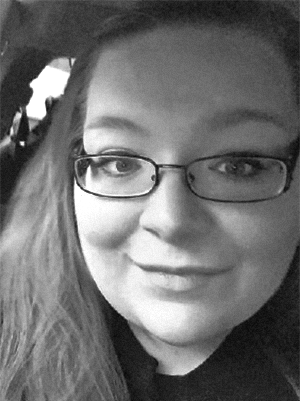 Tess Goyer, also known as the “Debunker” of the group, has also spent several years working in the medical field (focused on mental health) and has had a variety of paranormal experiences throughout her life. Though not claiming to be sensitive, she is attuned to the energy in the investigation locations and serves a great asset to the M&D team. She continues to pursue an education in the helping field with a Bachelor’s of Science Degree in Psychology and Human Services. M&D focuses on helping the community and dispelling the stigma associated with paranormal experiences, and at the same time create a community of like-minded individuals while sharing knowledge and understanding to expand the field in which we research. M&D was founded by Mary, Daniel, and Tess in the summer of 2017 with the goal of helping others work through and gain knowledge about their paranormal experience. Just as their clients, all members of the M&D team have experienced some form of paranormal phenomena which is what compelled their interest in this field. For select onsite investigations, M&D invites members of their network with specialized experience to join them.